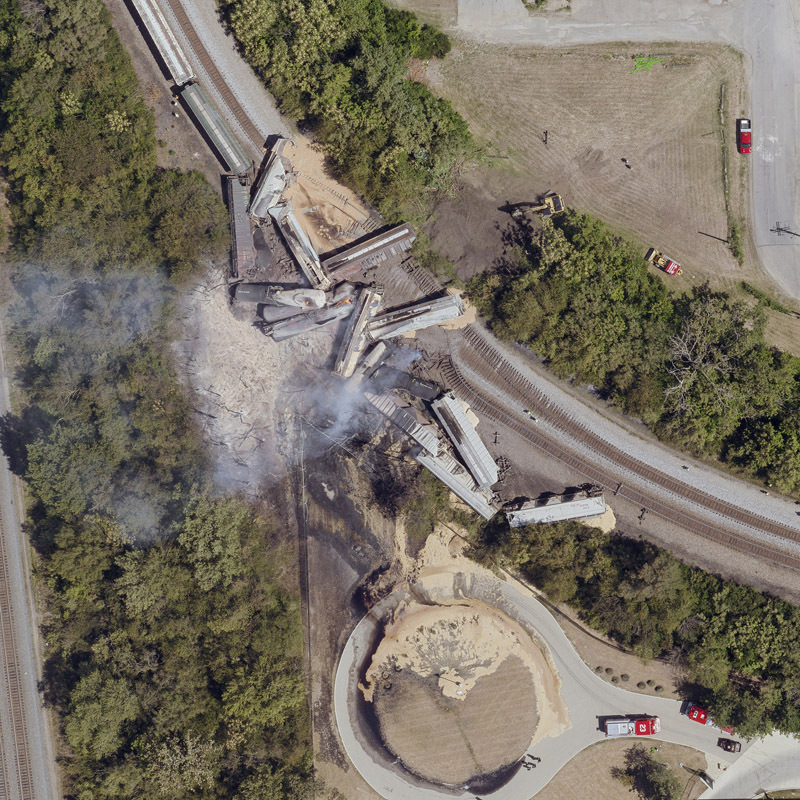 At approximately 2:00 a.m on July 11, 2012, a 98-car Norfolk Southern freight train burst into flames when sixteen cars derailed southeast of The Ohio State University Campus in Columbus, Ohio. The two-locomotive train was carrying ethanol which ignited the fire that could be seen from more than ten miles away in the early morning sky. Residents within a one-mile radius of the crash were evacuated from their homes. To mitigate risk of the combustible cargo reigniting, the fire was permitted to burn-out which occurred a little more than 24 hours later. No cause of the accident was ever determined.